Young adult literature may feature characters who can’t yet vote or legally buy cigarettes, but the settings, circumstances and challenges are often as compelling as mainstream novels. Considered to be one of the hot markets for writers now, YA titles often outsell other genres positioned for adult readers. This week in #litchat we’re cheering for YA authors and the novels we cherish from our youth. On Friday, March 4, Sascha Zuger, who writes YA under the pen name Aimee Ferris, joins us as guest host. 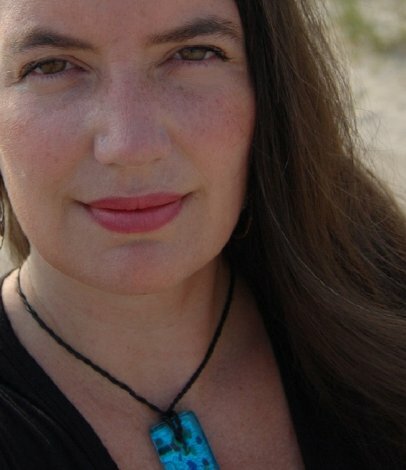 Zuger is author of two YA novels, Girl Overboard (2007) and recently released Will Work for Prom Dress. 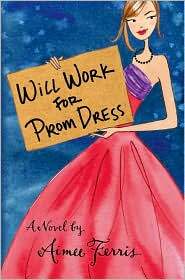 In Will Work for Prom Dress, Zuger/Ferris takes readers through numerous zany attempts of two teenage girls to be the best-dressed girls at the prom, while they also attempt a “betterment plan.” Fashion, family, faux pas and romance make Will Work for Prom Dress a fun YA weekender. Zuger left the corporate world after her company made an ill-fated decision to send her to Hawaii on a ten week business trip. After living in Fiji, she joined a regatta as crew and sailed the South Pacific landing as a PADI divemaster on the Great Barrier Reef, before relocating to the Caribbean to try her hand at training dolphins. Skydiving, playing a dead body in a dinner theatre, white water rafting, and feeding sharks underwater also made the list of prospective occupations before she settled on a career of making stuff up. She now juggles freelancing for a few dozen national magazines (*where she does not make stuff up), photographing her travel work and writing books, including Girl Overboard in Penguin’s (S.A.S.S. series). Zuger lives in New York. Follow Sascha Zuger on Twitter: @Sascha_Zuger.